Coming out next summer is the Baz Luhrmann directed reboot of The Great Gatsby starring Leonardo DiCaprio, Tobey Maguire and Carey Mulligan as Daisy Buchanan. I recently discovered Luhrmann's Facebook page Bazmark - The Great Gatsby which includes images that were used to create the Buchanan house in the film. The homes featured on his page include Pembroke (De Lamar), Old Westbury Gardens (Phipps), Groton Farm (Winthrop) and an image that looked very familiar to me, the cover of the brochure of Longfields (Thompson) that I posted here on Old Long Island in 2009. This prompted me to watch the preview in hopes that Daisy's house was pictured and I believe the above screen grab is just that. If so it would appear the Buchanan residence is a whole lot of Groton Farm with formal gardens that appear to be a cross between Longfields and Old Westbury Gardens among others. Click HERE to watch the preview. For anyone curious...the portrait of the polo player on his page is Michael Phipps...and the dog sitting next to him is Spike. That brick columned house is simply bad. Gatsbys castle-like quasi hotel/dragons lair is an equally bad version of Beacon Towers on steroids. With all the creative minds involved you would think that they could have been inspired by actual homes in Newport and on Long Island instead of taking it to an almost cartoon-like version of what a 3rd grader would think a big mansion should look like. Awful. Why do I sense that this movie is going to make one long for the Redford, Mia Farrow version, at least that film had realistic homes and sets and a great music score that is impossible to get out of your brain once it has been implanted. Hollywood has never "gotten" WASP society right. I'm pretty sure that a realistic depiction of how and where Fitzgerald pictured the Buchanans living would strike the average movie producer- and perhaps the majority of the movie going public- as disappointingly plain, without a hint of the jaw dropping flamboyance expected of the rich. The trailer leads me to believe that this version will have more than its share of cringe making moments, and, as Archibuff says,make us long for the Redford-Farrow version. And here we thought the Farrow-Redford version was embarrassing. Some of the old Hollywood screwball comedy romances do an exaggerated, but recognizable version---'The Philadelphia Story' and 'Holiday', for example, although their skewer is so well aimed because of the playwright, not Hollywood. My favorite is the original 'Sabrina'---not that horrible and unnecessary remake of a few years back, but the original Bogart/Holden/Hepburn version---again, frothed up, but recognizable. There are others, but my frazzled brain and I have to go off to the office and make a living---I'll ponder it some more. And filmed entirely in Australia. Since the film cost (per IMDB) $127 million USD and marketing is generally added on top of that it begs the question of how much money was saved - if any - by having not filmed at places like Old Westbury Gardens, Oheka or a whole host of privately held estates on the North Shore? I am already longing for the old days when Computer-generated imagery (CGI) wasn't used to create such a faux world tainted by untalented "architects". Dreadful. Kellsboro, its true the computer enhancement has resulted in an animated mansion found in any childs Saturday morning cartoon. I think Hanna Barbera depicted the same mansion with bugs bunny in top hat and tails. To think the creative team walked the grounds of Old Westbury Gardens and the result was that facade is embarassing to them. Archi I am watching the Redford remake again just to see Rosecliff and Mia Farrows white colonial manse. Surely it would have been cheaper to film on the North Shore---any North Shore, Chicago, Boston, Long Island---and far more authentic. Of course, movie producers and set designers know how to spend money unnecessarily with the best of them. When Paul Newman's 'Empire Falls' was filmed up here a few years back, most of the movie was staged in Skowhegan. Despite the plentiful, handsome, and authentic mill-owner's mansions available in the immediate area, they chose to go with a summer estate (designed by Guy Lowell) in York, nearly 3 hours Southwest of Skowhegan---with all the transport issues inherent, and recostuming for scenes, etc etc. "its true the computer enhancement has resulted in an animated mansion found in any childs Saturday morning cartoon"
Alas, a computer with no mitigating Entasis button, dial or lever to shape those dowel pegs into legitimate columns [my eyes!]. Instead we get, "My name is Elmer J. Fudd -- millionaire. I own a mansion and a yacht." My guess as to filming in Australia had more to do with the seasons & actors' availability than any resemblance to '20s LI. Authentic decor aside: Somewhere, somewhere, between the deadly 'authentic' approach of Merchant-Ivory and the razzle dazzle of Luhrman, there must, there just must, be someone with the sensitivity to get inside this sad, beautiful tale. It is funny to see how Hollywood envisions the rich as living- massive, institutional sized house of vaguely Georgian syle (with columns, natch. All millionaires have columns. Ask any designer of one of today's "McMansions), French inspired parterres and a fountain. Throw in a Polo player (like galloping horses would have been permitted on anyone's front lawn to raise havoc with the landscape)and you have a picture perfect vision of Luxe- Hollywood style. My favorite Hollywood version of the East Coast socialite was Margaret Dumont as Mrs. Claypool in A Night At The Opera. There are still a few Locust Valley grande dames who sound exactly like her. Perhaps one of them could be hired to give diction lessons to Carey Mulligan. Audiences wouldn't know what had hit them. Ok...so all of that aside...if any of you happened to be directing this film instead of Luhrmann and had the ability to choose any EXTANT house on Long Island as the Gatsby and Buchanan places...what would they be? 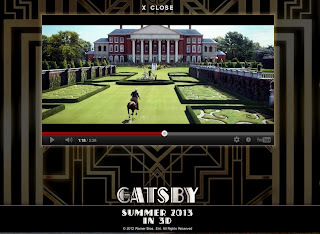 And leave CGI out of it...which means Old Westbury Gardens cannot be magically transformed into a seaside residence. Work within the confines of reality. It's not easy...all I'm coming up with at the moment for Gatsby is Hempstead House, the Braes and Salutations. Caumsett maybe. DED: I remember reading once- and could never find the reference again- that there was a diction method called something like "The Voice Beautiful" that was widely popular through the 1930's and was based on careful enunciation and voice projection through such methods as rolling your "R's". The writer ascribed the Voice Beautiful technique and its bastardizations to everything from Franklin Roosevelt's plummy tones to the overcultured diction of many Hollywood actresses of the 1930's and '40's. Here's a little side bar for you- for those of you with "You Tube" access, listen to Gertrude Stein's speaking voice. Despite the short haircut and mannish suits, she sounds exactly like Constance Bennett. It was something of a revelation to me when first I heard it. But then again, Stein was a Radcliffe girl. Zach- honestly, I think that you would have to go to Newport to find the sort of house that Gatsby would have lived in (I think that the Braes is too somber and Salutation not sufficiently flamboyant to convey that "He's not quite one of us" quality so important to explaining Gatsby's personality . I thought that Rosecliffe was a rather inspired choice in the Redford film. I agree... I was just bringing it up since everyone seemed to be wondering why a version of the film was never done on Long Island. Perhaps we have the answer. To those accustomed to my tendency not to talk or have opinions, this will come as a surprise, but I do have a few thoughts.. I haven't read "The Great Gatsby" since high school, so I don't really remember the description of the Buchanan house...but what about The Box, Greentree or Gray House Farm? And for Gatsby....Oheka or Inisfada? Well not so much a stipulation than my attempt at a faithful interpretation of the novel into film... but leaving that aside I would say most definitely Oheka. "The house was even more elaborate than I expected, a cheerful red-and-white Georgian Colonial mansion, overlooking the bay. The lawn started at the beach and ran toward the front door for a quarter of a mile, jumping over sun-dials and brick walls and burning gardens—finally when it reached the house drifting up the side in bright vines as though from the momentum of its run. The front was broken by a line of French windows, glowing now with reflected gold and wide open to the warm windy afternoon." This above is from Nick, the narrator. First we need to decide if Nick knows what he's looking at since the he's from the midwest and hasn't been bred to discern with an insider's eye. Keeping with the text as is, we need a vine-covered, waterfront brick place with French doors. Then how about Barberrys or White Lodge? Rumor always was that the inspiration for Daisy's house was Kidd Rock/Land's End in Sands Point. But then again, just about every large house on the North Shore is rumored somewhere as either being by Stanford White or being Fitzgerald's inspiration for something or other in the Great Gatsby. I second Salutations as a site that would've worked for the movie production. It's immediately on the water, the island is entirely private for the film crew, outside of Sabrina (and a few other films) most everyone else would just find it to be an imposing mansion as expected, and the cost to film there likely wouldn't be any more tremendous than Australia - unless their Gov't gave huge filming credits. The magic of Hollywood is such that you could film an estate in Old Westbury and then one in Glen Cove and make it appear they are neighboring without CGI effects. That said if the goal is just to show a grand estate of a billionaire it would take a lot to do one up on "Meet Joe Black" (Anthony Hopkins, Brad Pitt) using the Aldrich Mansion in Warwick, RI. In the 1949 version of Gatsby,Hollywood used the Widener Mansion Lynnewood Hall and set it on the sound. For Daisy's house they used Foxhall Keene in Old Westbury. Oheka would be the perfect Gatsby mansion if they had filmed on Long Island. Nick Carraway: "The [Buchanan] house was even more elaborate than I expected, a cheerful red-and-white Georgian Colonial mansion, overlooking the bay...the front was broken by a line of French windows.."
For Daisy's place Amincliff aka Ryefield Manor in Locust Valley is suitably conservative but large enough to impress, even has a columned portico out front. Caumsett would also do fine if you wanted water views and you could film Templetons side facade as the back. Oheka is a clear front runner for Gatsbys home, more accurate to the novels description and just plain old BIG enough to fit the bill. 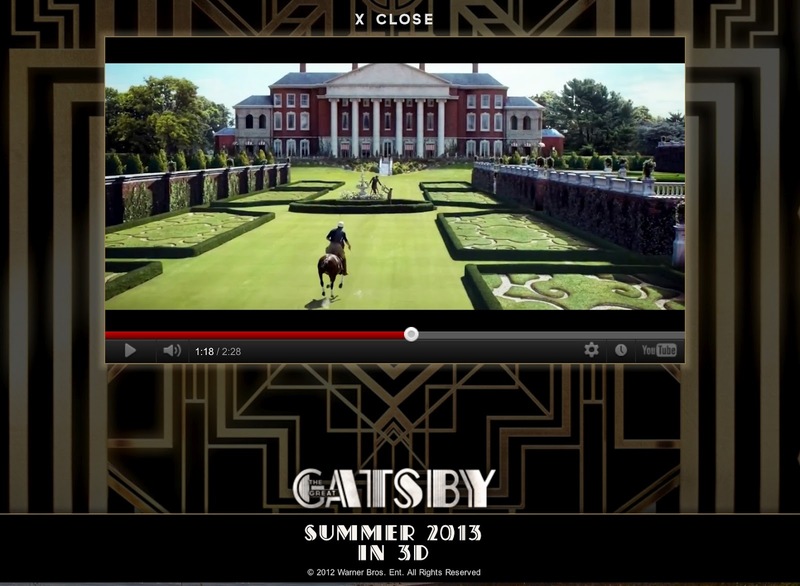 With filming skills and technology, but not CGI, neither place technically needs to be on the water, with multiple screen shots, one could film from the water across terraced lawns like at the Braes or Chrysler's Kings Point home and through an allee of trees like at Westbury House and over formal gardens like Ohekas and end up at Ryefield Manors front door without anyone in the audience knowing such a site doesnt truly exist. Todays movie preview was a nice diversion from the usual old home posts but the movie is going to be a clunker. Since the property was cited, it's worth mentioning that Barberrys, the former Nelson Doubleday estate, is officially off the market, according the listing, which says the property is under contract as of the end of July 2012. It had been listed for $14 million. ^ Not surprising to hear. Definitely the nicest of all that was on the market and certainly the nicest setting. I bet they got pretty close to the asking price. Especially when compared to some recent NYC prices.